In the one hundred and forty-seven years of the history of the Major Leagues Baseball, the number of six thousand home runs was never achieved before and only eleven times were five thousand round trippers accomplished. But 2017 brought the unexpected, with the greatest amount of home runs of all times. 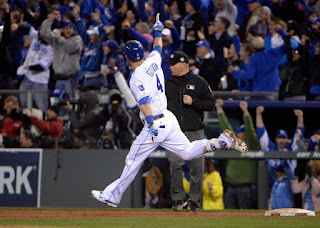 The outfielder of the Kansas City Royals, Alex Gordon, last September 20, made the ball disappear in the 8th inning against the Toronto Blue Jays, giving the five thousand six hundred and ninety-four homerun of the season, breaking the last valid record (five thousand six hundred and ninety-three in the year of 2000). In order to obtain such impressive results, several keys had to combine. As amazing as it seems, the total record of homeruns in one season did not come together with significant individual results. To have an idea, individually we could say that the most prominent result was the new record for a rookie, in the hands of the New York Yankees’ slugger, Aaron Judge. The giant of the Baby Bombers had an impressive amount of 52 barrier blows, smashing the last record, belonging to Mark McGwire, with 49 in 1987. In general, the new players set standards, with the biggest amount of homeruns for rookies of all times, with a total amount of seven hundred and ninety-two, exceeding by much the six hundred and ninety-one of the previous year, when Joc Pederson and Kris Bryant had 26 each one being rookies. The previous numbers did not even reach the six hundred, with five hundred and seventy-nine in the year of 2016, five hundred sixty-six in 1999 and five hundred and forty-six in 2006. Among the rookies, another highlight of this season was Cody Bellinger, of the Los Angeles Dodgers. Being only 22 years old, he was the leader for several periods of the season, until he was won over by Stanton. Young players, not only the rookies, had a great season in general. Homeruns by players under 25 years old made the great number of one thousand ninety, the biggest amount in the history of the MLB. Precisely, Judge had the most significant increase from one year to another, being 2016 the year in which he first played for the MLB, but the time he played was not enough for him not to be a rookie in the coming year. Last season, the outfielder for the Yankees had only four homeruns, increasing in forty-eight his numbers in this new season, while Giancarlo Stanton, absolute leader with fifty-nine, increased his in thirty-two, having only twenty-seven in last years’ campaign. Others had a more impressive growth, and not precisely because of the amount of home runs but because they were not expected to be so prolific. That being the case of Mike Moustakas (Kansas City Royals), Justin Smoak (Toronto Blue Jays) and Logan Morrison (Tampa Bay Rays), which in the year of 2016 were close to fifteen homeruns and now they each had thirty-eight. Moustakas broke the record for the Royals in one season and broke his personal one of seven in the year of 2016, Smoak was the unexpected replacement of Edwin Encarnacion for the Blue Jays and had twenty-four more round trippers than last season, while Morrison brought life to the Rays with the biggest amount of homeruns in his entire career and twenty-four more this year. As strange as it might seem, this record was not only due to the indisputable leaders of the MLB, the already mentioned Judge, Stanton or J.D. Martinez (Detroit Tigers - Arizona Diamondbacks, forty-five) or Khris Davis (Oakland Athletics, forty-three). To have a better idea, the season of 2017 classifies only in the number twenty-one of all times if we add up all the men that had more than forty homeruns. A poor total of five men broke this barrier (the average in the last fifteen years is of 6.5) and not even one of them could achieve the mythical number of sixty. Nevertheless, forty-one players had more than thirty barrier blows, making this one the fourth season of all times, increasing the average from 2001 to 2016 to 27.1. The tendency prevailed and the season of 2017 is at the top of the list regarding players that obtained twenty, fifteen, ten and five homeruns. One hundred and seventeen players made a score of more than twenty (average from 2001 to 2016 of 81.9); 165 men achieved more than fifteen (average from 2001 to 2016 of 126.6); two hundred and forty-two ball players had more than ten homeruns (average from 2001 to 2016 of 193.3); and a total of three hundred and thirty-nine had more than five round trippers (average from 2001 to 2016 of 301.4).